How can you deal with cyber bullying? As with so much of society nowadays, the defining lines which mark out set boundaries are becoming very opaque and almost non existent. It seems many people are struggling with what is acceptable and how to portray themselves in a world in which has become so easy to fabricate and elaborate just who and what we are. A very sad part of this is hypocrisy and total misunderstandings are being fed outwardly just to create an illusion to others. In a world where for the most part of it, people profess to be animal lovers, that falls short totally as these same people happily eat animals, therefore they are totally backing mass slaughter on a global scale and the barbaric exploitation that sadly comes with the dairy industry. Admittedly social conditioning has a lot to blame for in this, as we are literally force fed hypocritical rubbish that preaches to us that to remain healthy we have to eat meat and drink milk from Cows, what an absolute load of nonsense that is. As a species we are aware of the toxins and poisons that are added to meat, yet still we nonchalantly carry on being a part of this multi billion pound industry and for what? Mass slaughter and total exploitation of billions of innocent animals, which are sentient beings, they have emotions, they feel pain, hurt, loss and they suffer when they feel bereavement, yet still people buy into it and support it, unreal. 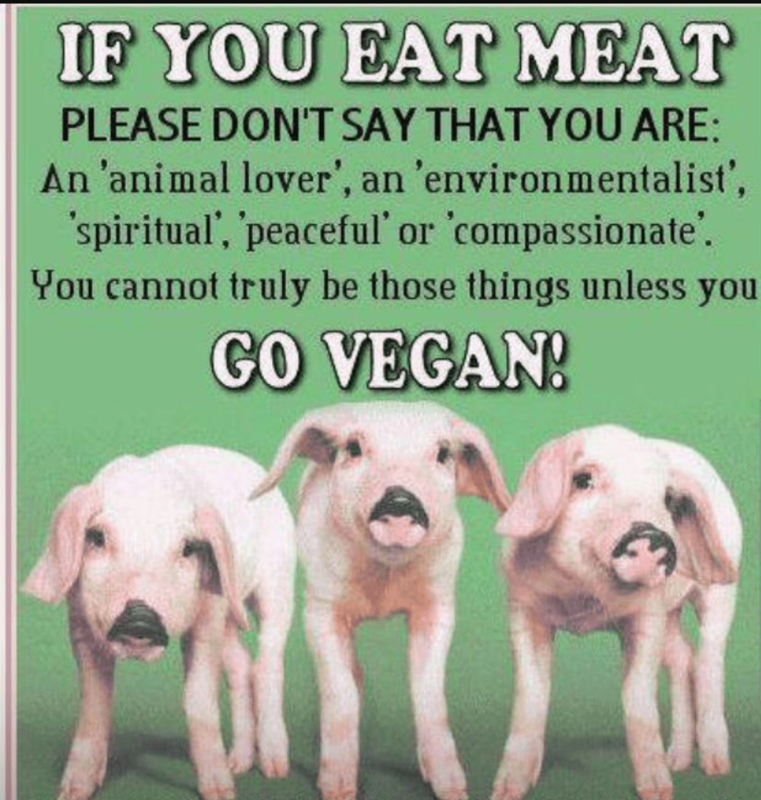 Going Vegetarian is a great start and in doing this, undoubtedly many, many animals lives are saved, simply because they are not being eaten, yet the dairy industry is as big a culprit as the meat industry, so then it becomes down to personal beliefs, do you love animals or not, it really is that simple. Can you say that you are compassionate to the plights of others when you support mass slaughter and cruelty? Can you switch off to the fact that you are consuming by products that are not meant for consumption by humans, these are animals and they are pure and totally innocent, yet many people carry on professing to be animal lovers, well, quite simply they are not and cannot truly love animals whilst they carry on buying into and consuming meats, cheeses, dairy milk and wearing by products that have all derived from mass slaughter and exploitation of these beautiful creatures and animals which we share this world with.